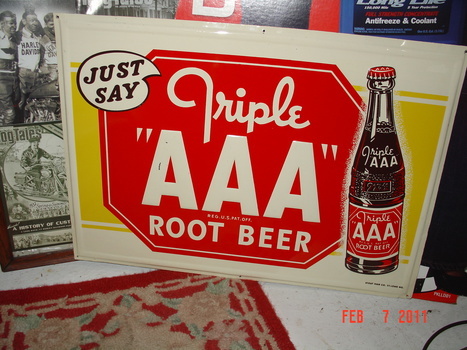 Really don't have much to say about this sign, other than it's in pretty good shape. I bought it at an auction. I sat there all day and I thought I'm taking something home and this is the best I could do that day. You did well. 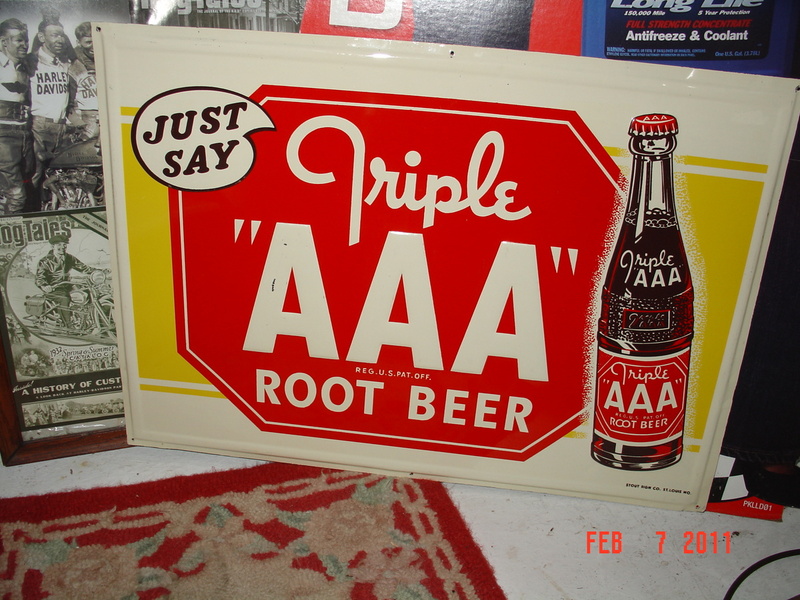 I love old advertising signs. It is amazing to me the variety of items in your collection. Keep it going. Thank you chocko_2010 for your comment! Thank you Signaholic and metalman! 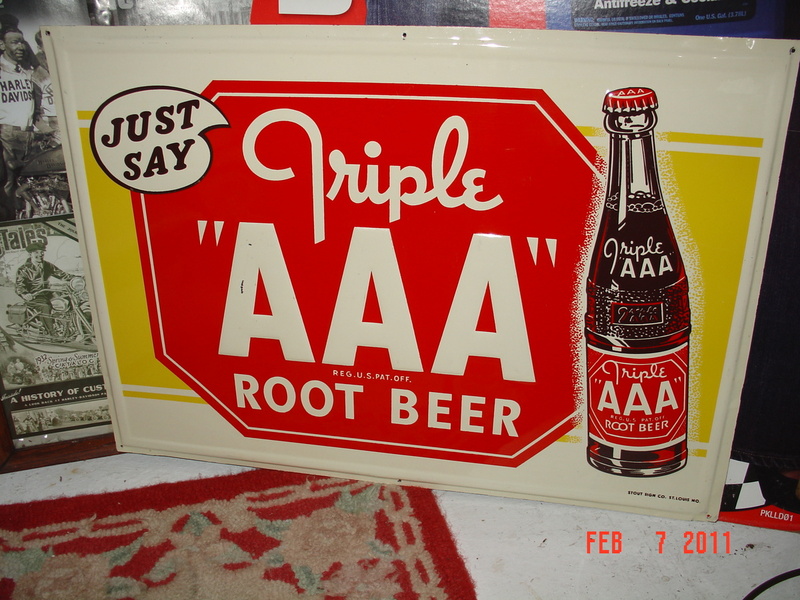 Thank you elayem0110 for the love on the "AAA" Root Beer sign! Thank you sanhardin for the love on the sign! Thank you TripleAAA for stopping by and showing some love on the sign! Loved the video and congratulations on AAA!